Waso, the fourth month in Myanmar calendar falls between June and July. The full-moon day of Waso is very significant, because this is the day Buddha was conceived. 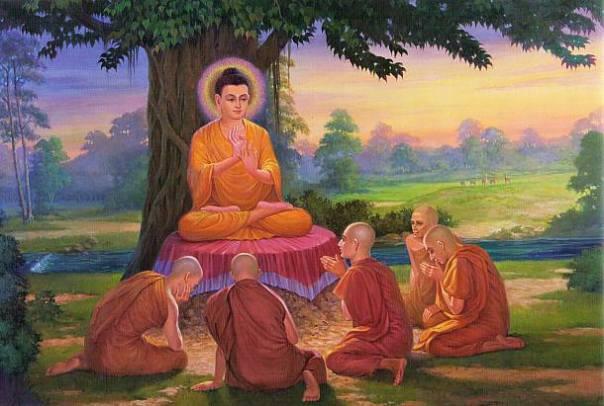 Later in his life on this day Buddha renounced the worldly pleasure, and also on this very day that he preached his first sermon of Dhammacakka and performed the miracles of supernatural powers. Because of this, the full moon day of Waso is also called Dhammacakka Day. After attaining enlightenment at Bodh Gaya the Buddha went to Isipatana (now called Sarnath, near Benares, India), and it was here that he preached his first discourse, the Dhammacakkappavattana Sutta, which means the Turning of the Wheel of Truth. At the Deer Park in Isipatana Buddha encountered five men who had been his companions of earlier austerities. On meeting the enlightened Buddha, all they saw was an ordinary man; they mocked his well-nourished appearance. “Here comes the mendicant Gautama,” they said, “who has turned away from asceticism. He is certainly not worth our respect.” When they reminded him of his former vows, the Buddha replied, “Austerities only confuse the mind. In the exhaustion and mental stupor to which they lead, one can no longer understand the ordinary things of life, still less the truth that lies beyond the senses. I have given up extremes of either luxury or asceticism. I have discovered the Middle Way”. After hearing Buddha’s sermon the five ascetics became his first disciples. The Full Moon Day in Waso also marks the beginning of the Buddhist lent of three months when members of Sangha go into the rainy season retreats. A significant and meritorious deed for Buddhists in Waso is offering robes to members of the Sangha for use during the lent, a time when they are not allowed to travel. No weddings, feasts, or festivals are celebrated during the Buddhist Lent, and people try to follow the Five Precepts more conscientiously.